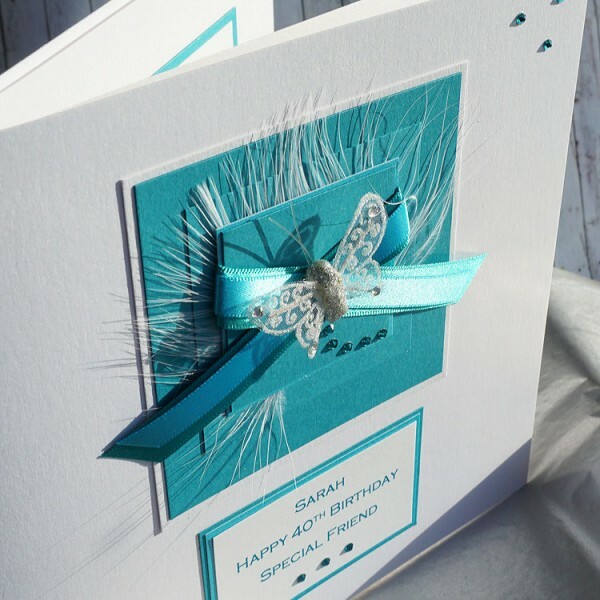 A pretty handmade birthday card with a white organza butterfly mounted on turquoise pearlescent cards, a white feather and wrapped with satin and organza ribbons. The butterfly leaves a trail of Swarovski crystals. 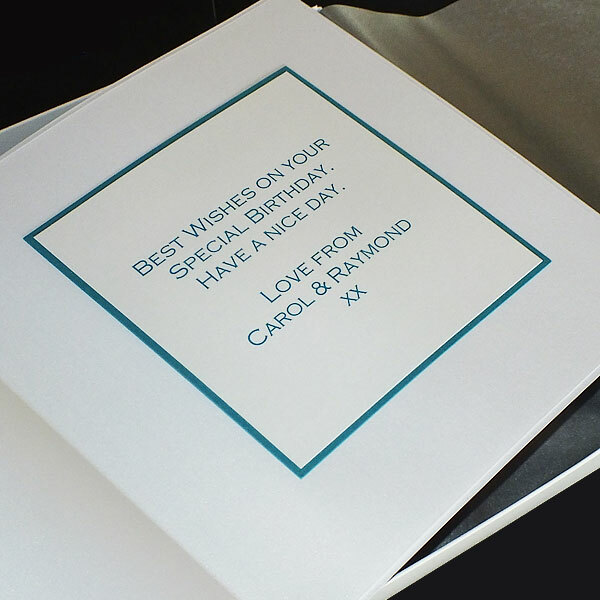 The card can be personalised for your own choice of birthday and special recipient. 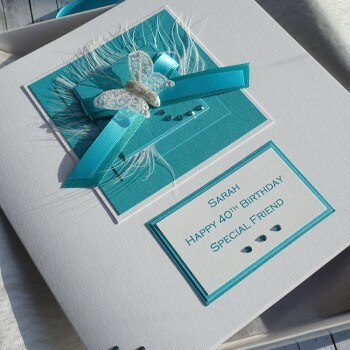 Please choose your own wording as this card would be ideal for a special mum, gran, sister, friend etc for 18th, 30th, 40th, 50th etc birthday cards. 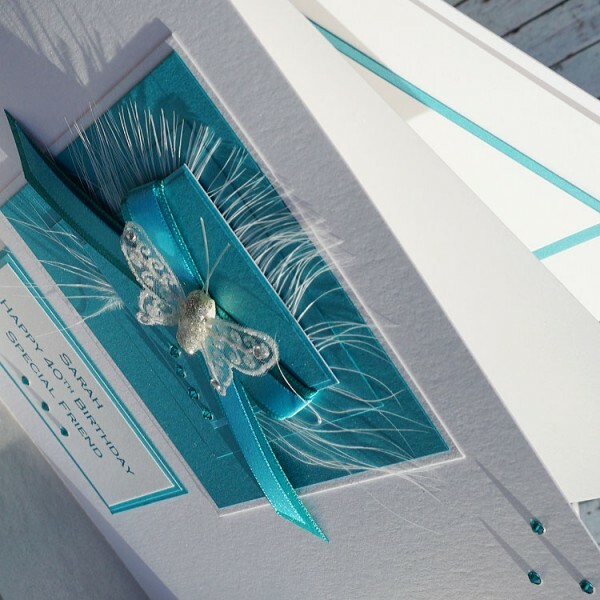 The design is created on heavy white pearlescent card and supplied with a blank white pearlescent insert. 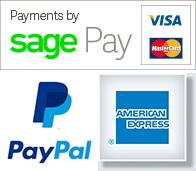 The luxury card is supplied in a matt white box, lined with tissue paper and wrapped with a satin ribbon. 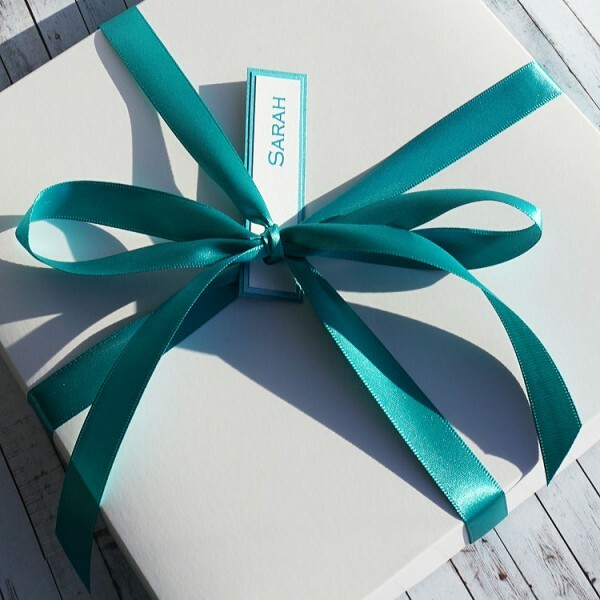 Personalised Boxed Birthday Card "Turquoise Ribbons" This is an elegant birthday card de..